Illawarra and South Coast, born, bred and developed local players will form the core nucleus of the Wollongong Wolves Football Club First Grade team striving for 2018 Premiership glory in the NPL NSW Men’s Competition. Wolves First Grade coach Jacob Timpano commented, “We’re putting together a very competitive, versatile and highly skilled squad, predominantly built around players from our local areas. The talent we have available across our region is exceptional and we will be one of the very few teams in the NPL NSW Men’s Competition that has such a high percentage of true, local representation. “Club captain Chris Price (Milton Juniors), Justin Pasfield (Lake Heights Juniors), Michael Robinson (Kiama Juniors), Peter Simonovski (Berkley Juniors), Josh Macdonald (Unanderra Hearts), James Baldacchino (Shellharbour Juniors), Taylor McDonald (Wolves junior), Ethan Kambisios (Figtree Juniors) all cut their teeth as local juniors, while Brendan Griffin grew up on the beaches of Coalcliff and Steve Hayes relocated from Canberra to really kick start his career with the Wolves, making his first grade debut as an 18 year old. Timpano added, “It’s crucial we continue to provide opportunities and pathways to all our local players, up and down the entire coast and right across our region, and give them the chance to represent at the highest possible level. Securing the services of the local players, complementing the recent re-signing of Nick Montgomery and Yuzo Tashiro, leaves the Wolves with only a few spots left to finalise the squad for 2018. Negotiations are well advanced with a number of players with additional announcements expected to be made over the coming weeks. Speculation continues to mount as to who may fill the final visa spot available, with some interesting approaches already made directly to Wolves coaching staff and management. Wollongong Wolves CEO, Chris Papakosmas observed, “Hats off to Jacob, Nick Montgomery and out entire football department. They have assembled a great squad with the perfect mix of local talent, youth, experience, professionalism and passion. The Wolves begin their official trial period on Sunday 28th January 2018 against Spirit FC in Wollongong with all 3 senior grades in action. Further trials are scheduled right up until the competition commences in early March with the club expected to finalise it’s complete seniors squad in the next few weeks. Timpano concluded by commenting, “We don’t have the finances or resources of the majority of the other clubs in our competition. What we do have though is the passion and hunger and ability to draw on what I believe is one of the greatest, if not strongest, junior football nurseries across Australia. A new and exciting weekly football show has been launched in our region with an emphasis on news, interviews, unification and promotion of the round ball code. Called the Wollongong Football Show, the podcast is under the direction of host Andrew Byron and is based on the popular Daily Football Show in Melbourne. Byron said after five successful weekly shows its popularity had grown among the region’s starved football fraternity and sports’ lovers. “The podcast encapsulates football news from the Illawarra, South Coast and Southern Highlands, with a level of high production quality, and interviews with junior and senior players, coaches and administrators who live for the game,” he said. Byron said a catalyst behind the show’s introduction was the region’s push for an A-League club. The former Wollongong Wolves chairman and football fanatic has been connected with a corporate A-League bid involving the Wolves’ since 2014.  He continues to adopt and promote Football Federation Australia’s stance of “building a unity of purpose across all tiers of the game”, which he believes would enhance the region’s chances of securing an A-League team. “This podcast is an extension of that attempt to unite the region, talking football under one voice and one region,” Byron said. “It is the people that make the difference and we want to hear their stories on our show.” The Wollongong Football Show can be heard on Thursdays featuring a round table with co-host Earle “The Pearl” Canvin, The Illawarra Mercury’s Mitch “Biscuits” Cohen and Illawarra Stingrays’ Pete “Supernova” Nowakowski. For more information download the WFS Podcast via iTunes or your favourite Android App or contact Andrew Byron 0424 220 945. Sydney Olympic will begin their 2018 season campaign with a trip interstate to tackle old foes Heidelberg United FC, in a pre-season clash at Olympic Village on Saturday, February 10. Kick-off at 5:00pm. Heidelberg will host Olympic almost 23 years to the day since the Sydney side last came to Olympic Village back in 1995, when both clubs were storied rivals in the old NSL era. The already much anticipated revival of the Heidelberg v Olympic rivalry has excited Heidelberg’s 2017 treble winning coach, George Katsakis. “Two great clubs and two great teams, so we couldn’t ask for a better way to start the new campaign”, said Katsakis. “It will be a great opportunity to gauge where we are at going into 2018”. “But it will also be marvelous to host Olympic once again after all these years and no doubt it will bring back some wonderful memories for some of older supporters”. Sydney Olympic FC CEO, John Boulous, is hoping to turn the fixture into an annual event. “We will work with Heidelberg to make this match an annual event and the following season welcome them to Sydney” Boulous explained. “The squad is looking forward to getting away together to play against the NPL champions, it will be tremendous pre-season tour to allow the squad to continue to bond as well as test themselves against Heidelberg United who experienced a very successful season in 2017 and like us share a wonderful tradition”. “We would anticipate many fans of both clubs to turn out and watch the two former NSL club’s play and enjoy a great match”. ahead of the much-anticipated fixture the following day.